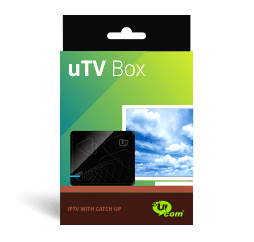 Thanks to uTV Box, you may watch the broadcasts of programmes and movies aired up to 2 days ago. Moreover, via Armenia Premium TV channel you may watch TV shows, sitcoms, feature films, stand-up shows, which are available exclusively to uTV subscribers. Connection to the Internet is through a special device provided by Ucom (TV Box), which requires at least 3 Mbps stable speed for the smooth operation. The offer is available for 12-month commitment. List of TV channels included in the tariff package.